Cambium has the capacity to most anything in the home landscape. Working with artists, custom craftspeople, and vendors, we will make special projects – special. 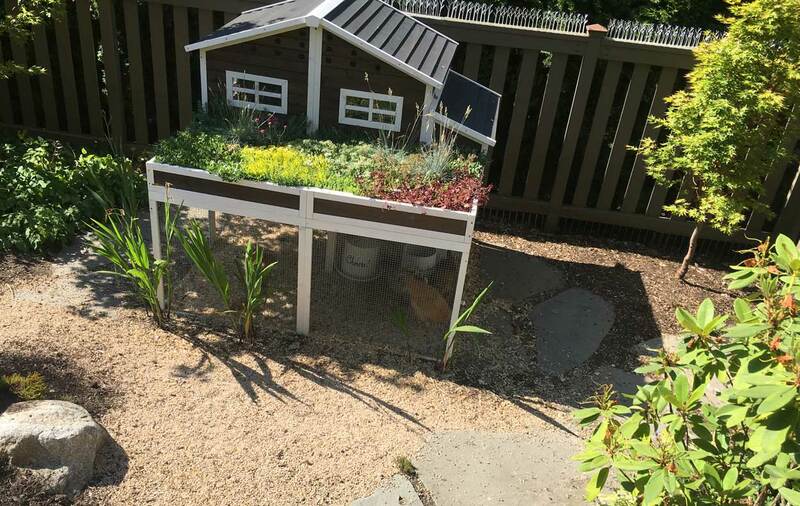 Challenges are welcome, and we appreciate the opportunity to participate in unique garden ventures. Cambium assists with fine garden art installations. 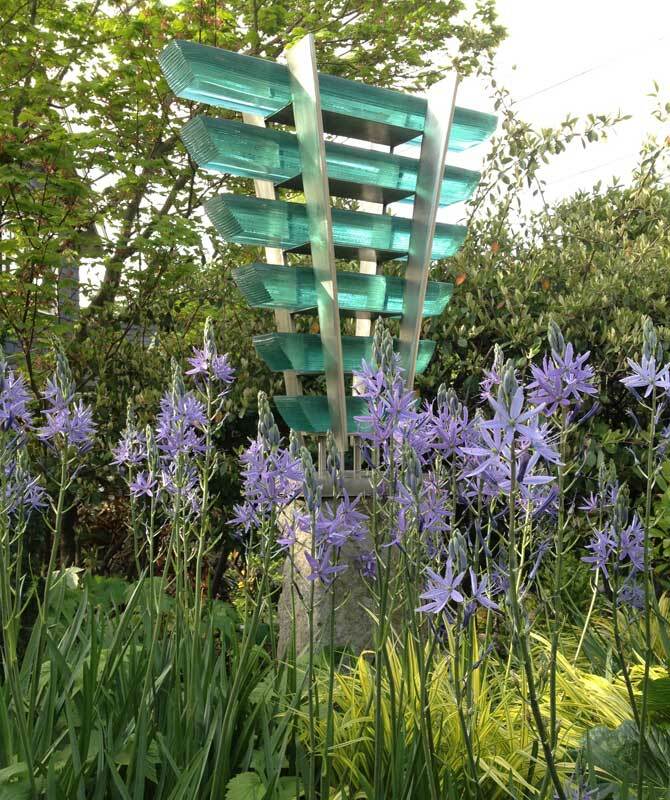 Seattle artist, Nancy Mee, created a reverse ziggurat of glass that catches light and adds another dimension to the garden. Cambium placed the piece in a bed of blue Cammasia, complimenting the color of the glass. Poplar with urban dwellers, modern day, small chicken coops can be made in any style. A crow caws above bountiful daisies! 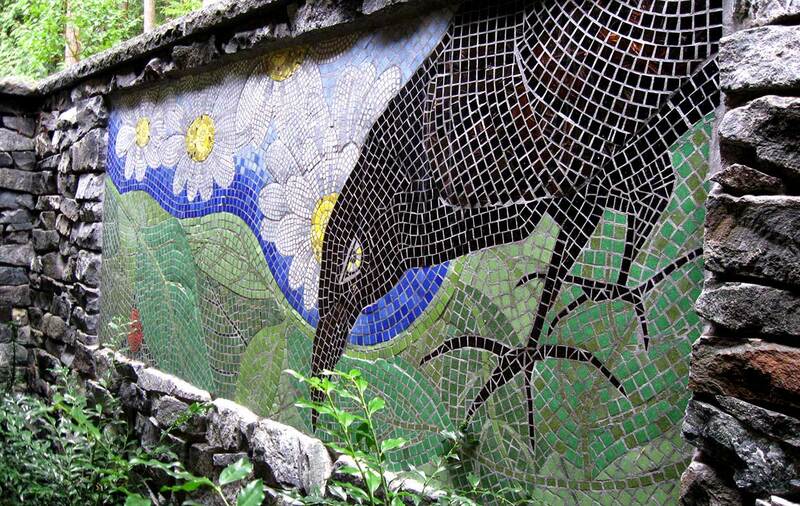 A natural roughly hewn stone wall acts as canvas for the beautiful and playful glass tile mosaic. Evergreen, glossy, Sweet Box grounds the piece and perfumes this small garden with sweet scent in the dead of winter. Crafted in an interior courtyard, this special piece is visible only from the home interior. 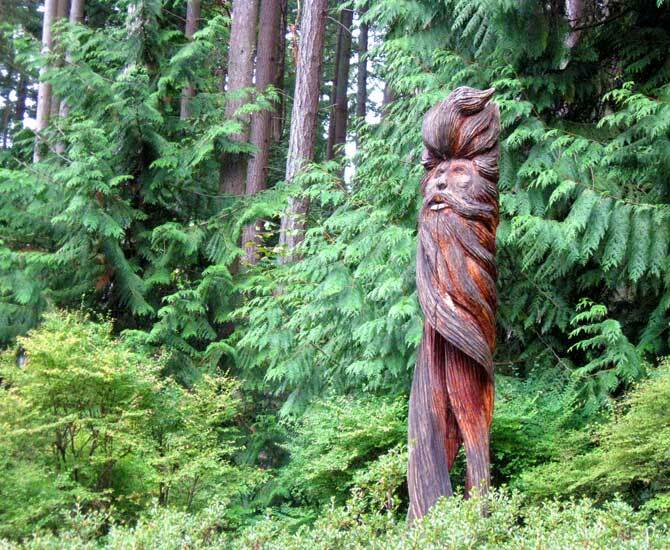 Carved from an old cedar trunk, Notus, Greek god of the south wind stands guard in our clients heavily wooded home.